Overprotective of Official Sponsors? Something that has been featured heavily in the news in the build up to the start of the Olympics next Friday is the strict guidelines that are being enforced to protect the major sponsors of London 2012. To be an official sponsor costs a lot of money so the companies paying this cash want some assurances that their competitors are not going to be allowed any kind of free advertising at the Games. This morning, Lord Sebastian Coe, the chairman of the London Organising Committee of the Olympic Games was on Radio 4’s Today programme discussing the sponsorship agreements and one of his comments has been jumped on by the Internet brigade, where he said that “you probably wouldn’t be walking in with a Pepsi T-shirt”. 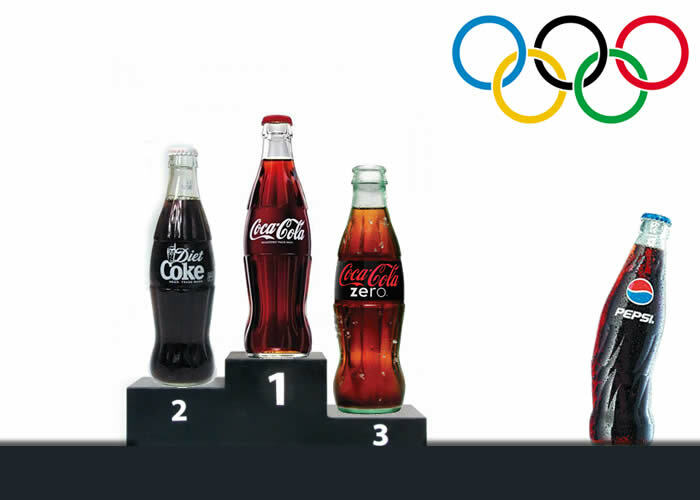 The reason for this is because Coca-Cola is a Worldwide Olympic Partner, which is the highest tier of sponsorship deal with the Olympic Games. Coca-Cola would have put up a lot of money for this position so it’s obvious that they want to protect their investment. To what extent they need to protect this deal is one which is up for argument though. What with the Coca-Cola float that has been following the Olympic Torch Relay all around the country, the TV advertisements that are constantly running and the promotion being featured on every can and bottle in shops, restaurants and vending machines around the world, it would be surprising if a few people wearing Pepsi t-shirts were able to put much of a dent in Coca-Cola’s profits from sponsoring the Games. And more to the point, who would actually wear a Pepsi t-shirt in the first place? 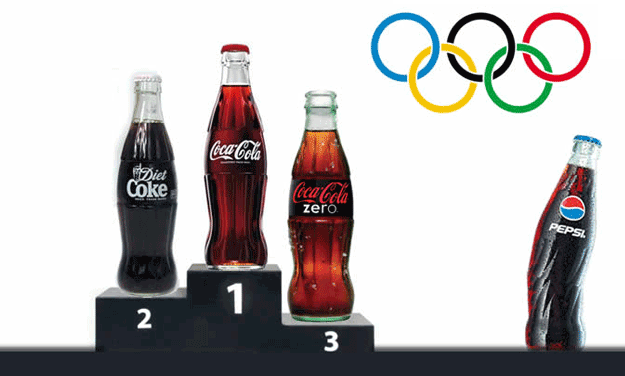 Pepsi has been completely sidelined because of Coca-Cola’s Worldwide Olympic Partner deal. London 2012: The First Social Media Olympics A lot can happen in four years. Since the Beijing 2008 Olympics, Facebook has increased its user base from 100 million to over 900 million, Twitter now has grown to 600 million users from 6 million and Apple launched the iPad upon the world. The explosion of social media has led to London 2012 utilising lots of different online avenues to promote and get people involved in the Games. There are many different portals online to get your Olympics fix so here’s a few of the main online places you will need to be over the course of London 2012. Explore London 2012 on Facebook – a great portal on Facebook that features links to the pages of the top athletes, teams and sports as well as pages on where to watch and sponsors. The Olympic Athletes’ Hub – great place for finding your favourite athlete’s Facebook or Twitter profile. Soon to also include Google+ profiles. Official Olympics Twitter – this is the Twitter account you want to be following for all the latest news as it happens. Olympics Google+ – get the Games in your circles on Google. Have you found any more good sites to use for your Olympic Game related fix? We’ll update you with any more we find on our Twitter so come and follow @headredmedia for the latest updates. Lighting Up a London Landmark with Social Media London 2012 is utilising social media in many ways and EDF Energy announced a new one today that combines the power of Twitter with the London Eye to create a light show depending on the positive and negative reactions to the Games on Twitter. The hashtag #Energy2012 is going to be the driving force behind what they are calling “the world’s first social media-driven lightshow”. Experts developed an algorithm which splits any tweets containing the hashtag into either positive or negative and this is then converted into the lightshow. Say for example it’s a 50/50 split between people enjoying the Games and others not so much, the London Eye will be half lit up with the other half in darkness. This is a great example of combining the world of online social media with the real world and embracing both the positive as well as the negative comments that are being tweeted about London 2012.